The activities children choose to do, and foods they eat are important to their physical health and well-being. 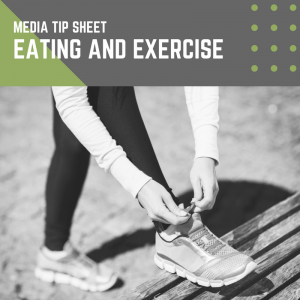 This tip sheet will help you understand how media can influence food and activity choices. Use this information as a guide to help you choose media that are best for your child. Advertising can affect what foods, drinks, and snacks children and teens ask for or choose to buy, and these ads often sell products that are full of sugar, salt, and fat. When children and teens eat while watching TV or movies, they often eat more than their bodies need because they are distracted. Children and teens often use very little energy when using media, such as watching TV and spending time online, which can lead to weight gain and obesity. Video games, music, and other media can get children and teens up and moving, encouraging them to exercise. Avoid watching commercials when possible. Use ad-free video streaming services, watch recorded videos, or fast forward through commercials. Make eating meals and snacks screen-free by turning off devices and choosing areas of restaurants without TVs. This way, children and teens can better focus and avoid overeating. Make time for physical activity each day. Encourage children and teens to play outside, join a sports team, or use a local community center. Use media to encourage movement, like dancing to upbeat music, or playing a video game that gets players on their feet.